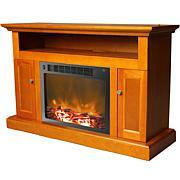 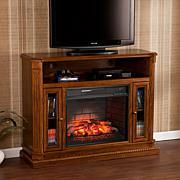 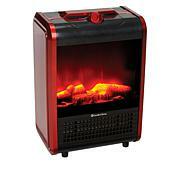 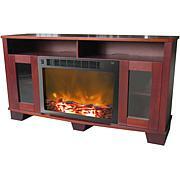 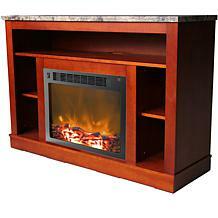 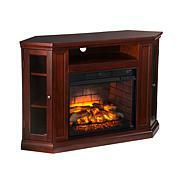 Fetch a ride to the exploration age with this whiskey maple infrared fireplace media center. 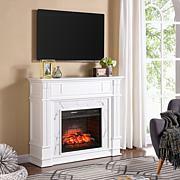 It not only creates a warm focal point in your living room or bedroom, it's also designed to be a stylish entertainment console with convenient storage beneath a wall-mounted TV. 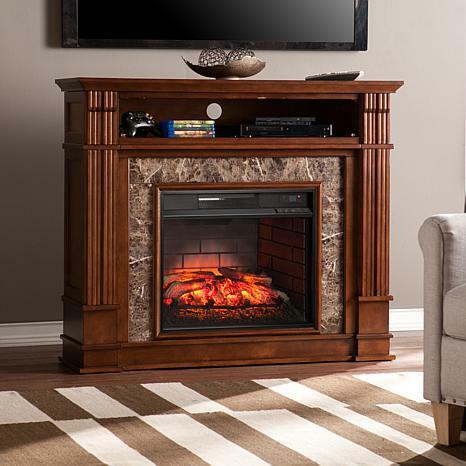 Linear woodwork encloses crisscross hatching of lifelike granite veneer. 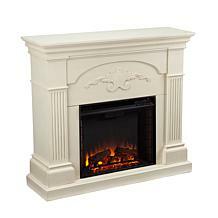 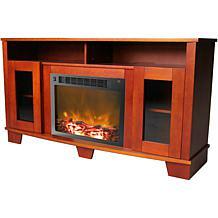 Ignite mission style with this infrared media fireplace in your living room or dinette.